The Making of Gruyère Cheese! It’s Part II of our series, Gruyère, It’s All About the Cheese. If you missed Part I where we visited a working Swiss dairy farm, you might want to read that first here. And next week will be our finale where we highlight many great dishes that use Gruyère cheese, and there will be a recipe or two so you will want to tune in for Part III – Finally, It’s Time to Eat! 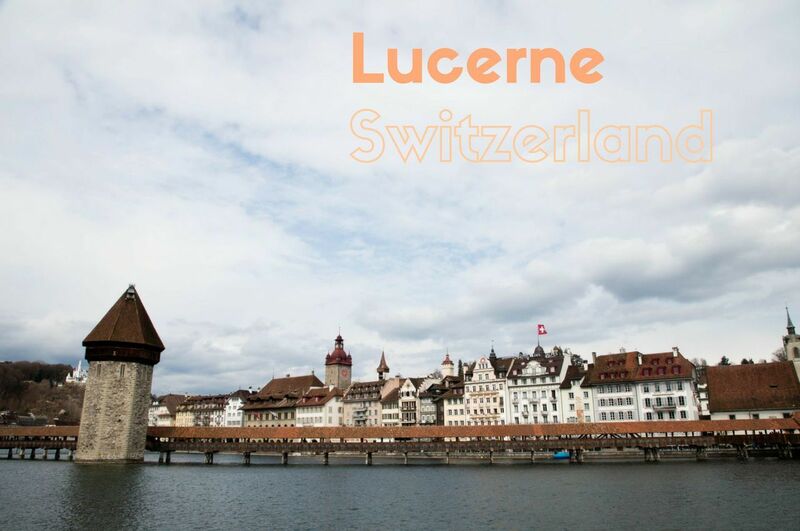 All over Switzerland, the veritable land of cheese, you can find huge factory outlet stores that provide a glimpse of the process of making cheese via a video or small presentation, but there are not many old cheese factories left with the original equipment and a traditional system. 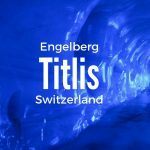 We were lucky enough to find one to visit in Gruyères region. As we walk half-way up a small mountain, the dark wood factory beckoned to us with brightly covered patio tables waiting for someone to have some of their famous fondue. As we walked in, we could smell a mix of old wood and cheese. As this is a commercial enterprise, a full on show, we paid our entry and made our way to the back. The large room was turned into an auditorium, but around its edges were still the tools and equipment used in the trade. 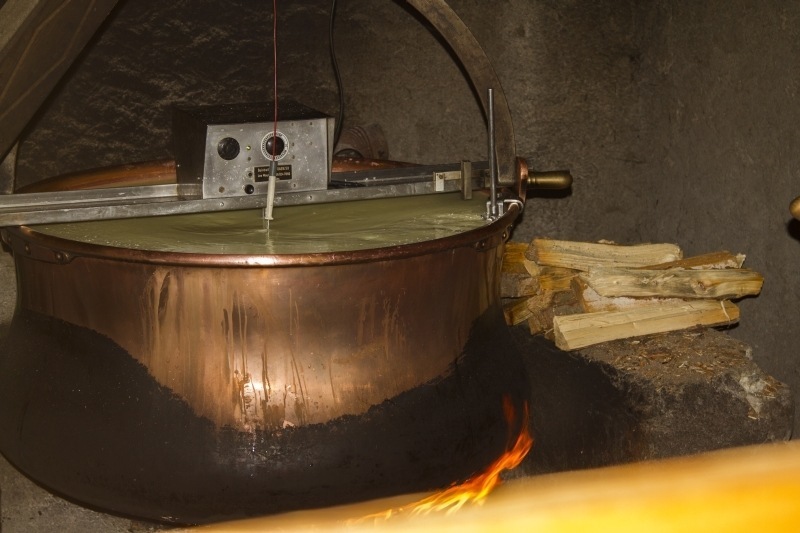 Behind a glass, where the proprietor has been teaching the ways of cheese-making for over 20 years, the first thing that caught our eyes was this huge vat of boiling goo, with a mixture of old and new to keep it going. After a quick look around, they showed a film highlighting not only the history of cheese in the Gruyères region, but a complete how-to. Then we moved over to the workshop where the käse-meister (cheese master) launched into the age-old method of making Gruyère and other types of cheeses. The milk is boiled for about 20 hours in this large vat, over a wood fire, but carefully monitored for a consistent temperature. The käse-meister stirs, cuts, and draws a shovel through the cheese so that it cooks evenly. 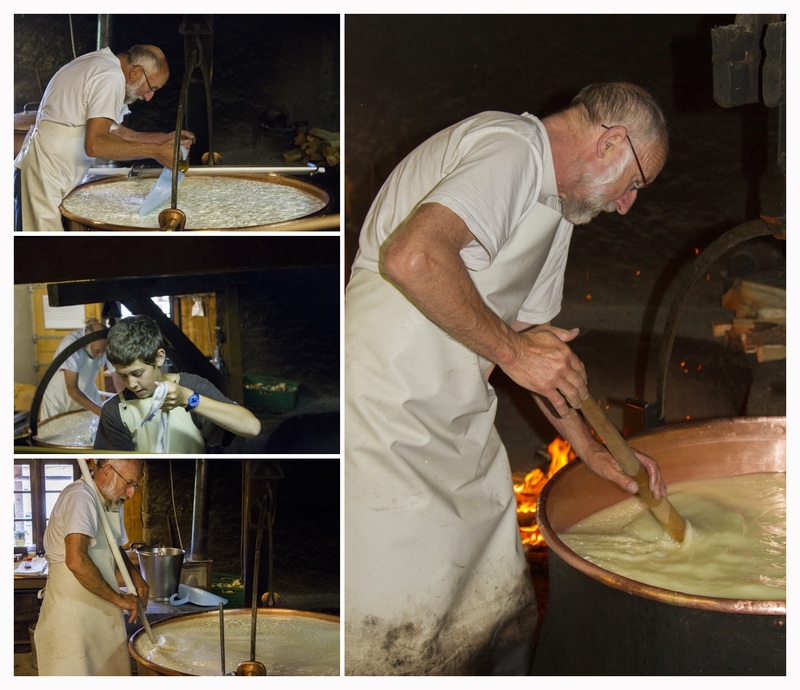 When the correct consistently, he pulls a mult-wired cutter through the soft cheese, then he and his apprentice (grandson) drop a cheesecloth on a form down to capture the cheese and they carry it over to the buckets to settle and cool. Heavy objects are laid on the buckets to squeeze out all the extra cheese water. Then they are set in molds and left to age. When the demonstration and questions were all done, the show was over, but the best part was yet to come. Outside the tables were set up for various tastings. Some folks had an early lunch and gobbled down some steaming fondue. We opted for a cheese tasting board that included eight different types of cheese. They were all delicious, so of course we had to toddle back in and buy some cheese to take home. A full and informative morning, we wandered around the area some more and just enjoyed the farm animals, the mountain air, and our full bellies. 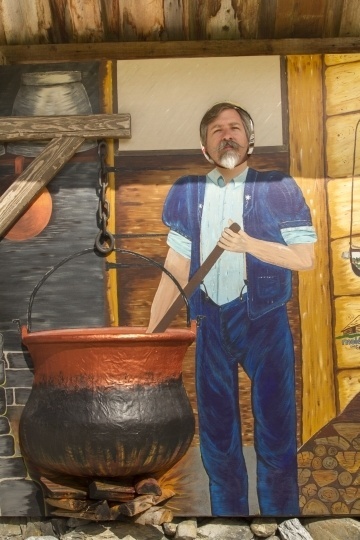 Jim couldn’t help but to get a little “cheesy” and have his photo taken as the next käse-meister. Have you ever learned how to make cheese? Did you know, you can do this very easily in your own home? Don’t forget to stay tuned for Part III – Finally, It’s Time to Eat! coming next week. This post is linked to Travel Photo Thursdays, Sunday Traveler, and Travel Photo Mondays. Check it out! Wow. I eat so much cheese, and yet I’ve never seen it made. 20 hours is a very long time! Looks fascinating, though – and getting to eat it at the end’s the best bit! Molly, You said it! 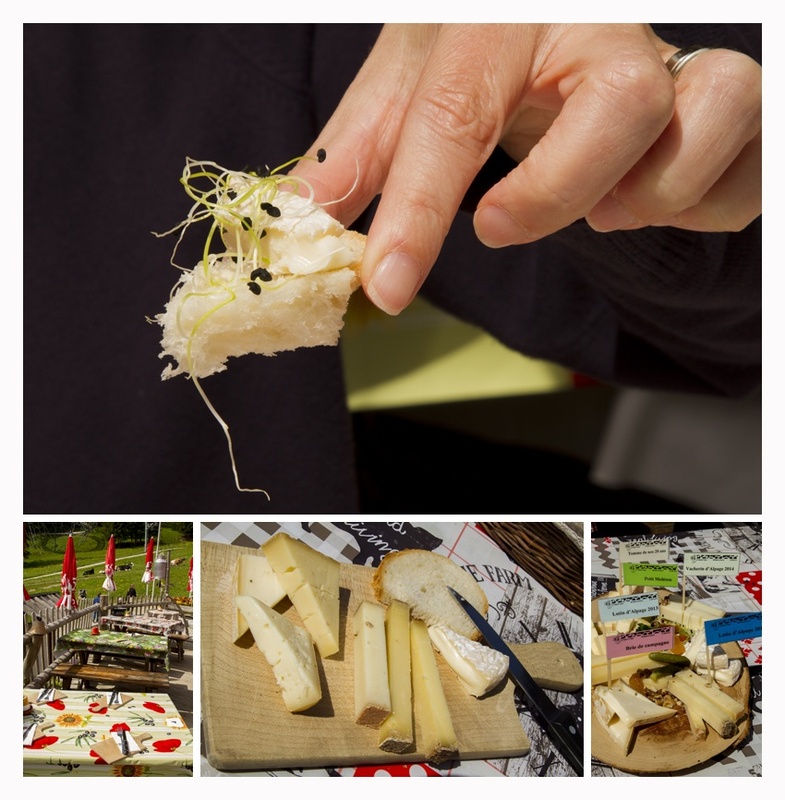 I love me some cheese…especially Gruyere! I love Gruyère but I bet this place smelt pretty strong! Phoebe, It was not that bad. I loved it. Mike, That is funny! It was such a great time…thanks! Amy, And we’ll have to return for the chocolate, because we didn’t do any of that! This was a very interesting visit, i bet. I’ve never seen cheese being made. I wanted to go to Switzerland for so long and still didn’t make it. Anda, Switzerland is an amazingly beautiful and friendly country. I’ve been there a few times, but the last time really blew my socks off! Marissa, Yes…my ears prick up when I hear the word cheese, too! You know I hated the stuff until I was 40! 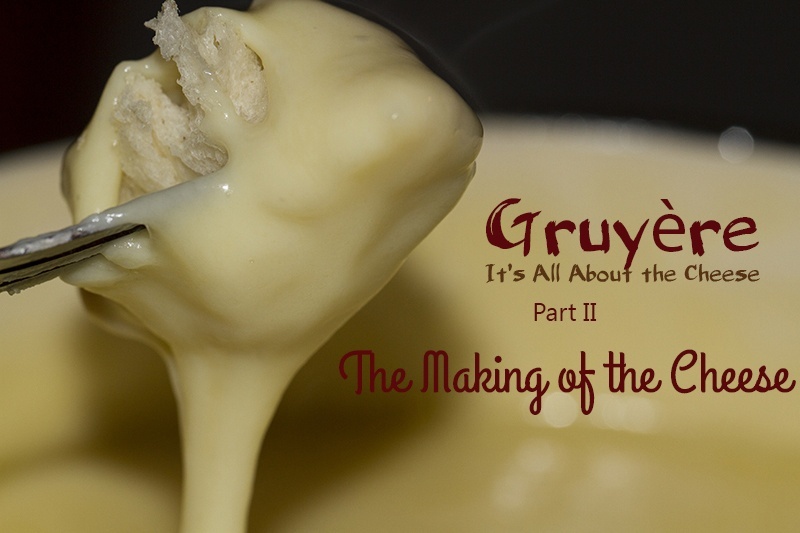 Hello, on behalf of Christa, host of The Sunday Traveler, I was stopping by to check out your article ‘The Making of the Cheese – Gruyere (please forgive the missing Diacritical marks as my keyboard and I are not that advanced, LOL), It’s All About The Cheese! (Part II). That sounds like fun. My Hubby and I often watch ‘How It’s Made’ but usually that program tends to feature things on a much more industrial type level. I did however, have the opportunity of touring an Old Mill and a Moonshine distillery in Tennessee earlier this year with my sister and nephew and it was very enjoyable. I loved seeing the original equipment and age old traditions that have withstood the test of time. If I were here, I definitely would of had a hard time choosing between the cheese plate or the Fondue. I wonder, could one do both? The pictures were great and left me wanting cheese. Odd right? Thank you for this post I enjoyed it and I’m looking forward to Part III. Hi, Thanks for stopping by. Yes, the cheese is amazing and every time I think about it, it makes my mouth water! 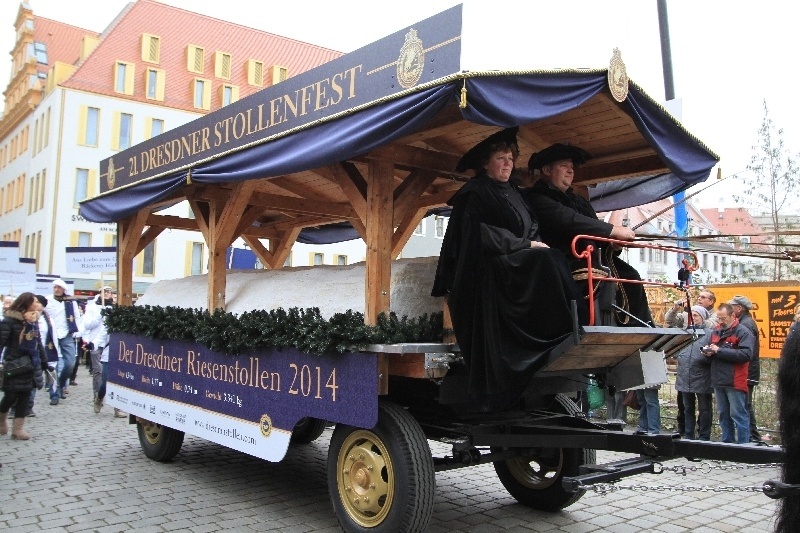 This looks like something we’d love to do in Switzerland. I’ve seen the process a few times (grew up around farms) but it is always interesting to see the different techniques. Jessica, I never get tired of seeing how things are done, how they work. I try to search it out wherever I go. That is so cool you got to see this in person, and then taste all the amazing cheeses! What a fun experience. I just saw blue cheese being made. I wasn’t allowed to take pics though. Lara, We saw some Roguefort cheese being made; that was cool as well. Now I need some cheese! Very interesting show, but I’m quite surprised they make people pay for it. I was in Côte d’Azur recently. There’s a lot of famous perfume shops, old sweets factories, etc. The entrance is free through they explain everything, as they know that a lot of people will be tempted to buy from the shop. Stephanie, Yes, but it was more show than a big store. I loved it and didn’t mind paying at all. Ami, As long as you didn’t wake up still smelling it or dreaming of cheese all night! My favorite cheese ever!! Locally, a cave-aged version is available here and it’s incredible. This sounds like a great activity and tasty experience! Rob, You would absolutely love it. All three days were cheese heaven.